Sometimes the understudy exceeds expectations. In the original “Mamma Mia,” the Greek island of Skopelos played the fictional island of Kalokairi. But to shoot “Mamma Mia! 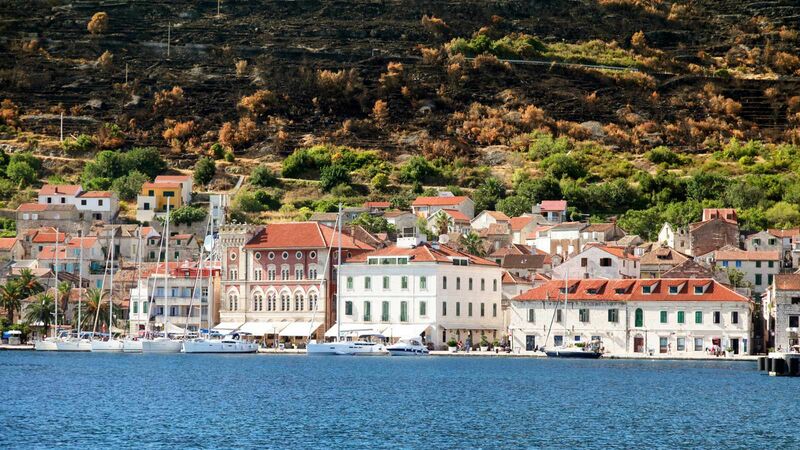 Here We Go Again,” filmmakers turned to the island of Vis, off the coast of Croatia. Because the island was a Yugoslav military base until 1989, it remained isolated and sparsely populated until fairly recently. Although Vis has changed as it’s become a tourist destination, it has remained fairly secluded. However, “Mamma Mia” could push the island into the spotlight. There are two ways to get to Vis. You can either board the two-and-a-half-hour ferry from the mainland, or channel your inner “Mamma Mia” film star and fly in via helicopter. Regardless of how one arrives, the 35-square-mile island welcomes visitors with 17th-century Venetian architecture, azure rocky beaches, and laid-back vibes. Only about 3,600 people live on the island, helping to maintain its sleepy demeanor. But there’s still plenty to do. To see Vis as it was featured in the film, head to Komiža. The fishing village dates back to the 12th century. Although it’s considered a sleepy town, Komiža transformed into a taverna for filming to host several of the movie’s large dance number. The featured beach scenes took place in Stiniva. The pebbled beach was named the most beautiful in Europe in 2016. To sleep like the stars, book the 16th century Palazzo Kut (where Amanda Seyfried is rumored to have stayed), from $920 per night, or the Villa Serena (the rumored temporary home of Colin Firth) from $500 per night. To see more of Vis, check out “Mamma Mia! Here We Go Again,” in theaters July 20.